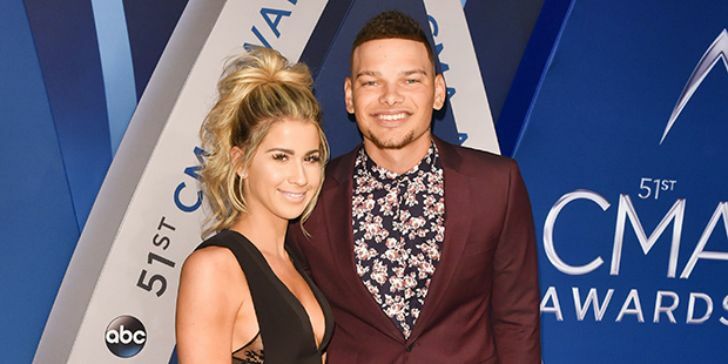 Kane Brown, 24, walked down the aisle with his longterm partner and fiancee, Katelyn Jae, on Friday evening, October 12, 2018, just outside of Nashville. With the ceremony held in front of over 200 friends and family, the Lose It singer told the media outlet, PEOPLE, that he was officially getting married to his best friend. The wedding comprised of his family members, bandmates, and friends while the couple's pastor officiated the wedding. The pair got romantic midway and had already decided to exchange handwritten vows. We decided to exchange letters to each other earlier in the day and keep the actual vows a little more traditional. For their wedding, the groom along with all of his groomsmen wore a Lanvin suit for the nuptials which was styled by David Thomas. As for the bride, she wore what she calls a simple, comfortable and understated gown. The 26 years' old stated that she had gone to a number of bridal shops before finalizing this dress. I went to a few bridal shops and this was probably the fourth dress I tried. I just loved everything about it. I didn't want a ton of extra fabric and I wanted something sleek simple and this fit the bill. We wanted something here in Nashville and loved the idea of having it at home and not traveling since we are on the road so much. It's not too rural but has so many elements of nature - a huge lake, rolling hills, trees. It's just beautiful out there. We chose someplace that we both love and can just completely relax and spend time appreciating nature, each other - and no cell service. The pair got together after Kane Brown proposed Katelyn Jae on the Easter Sunday 2017 when they were watching The Amityville Horror, starring Bella Thorne and Ryan Reynolds. After the proposal when a media outlet reached out to interview him, Kane stated that he just couldn't wait to ask her to be his spouse. Even though the pair is busy in leaping forward in their career, they take out time to take care of their relationship.